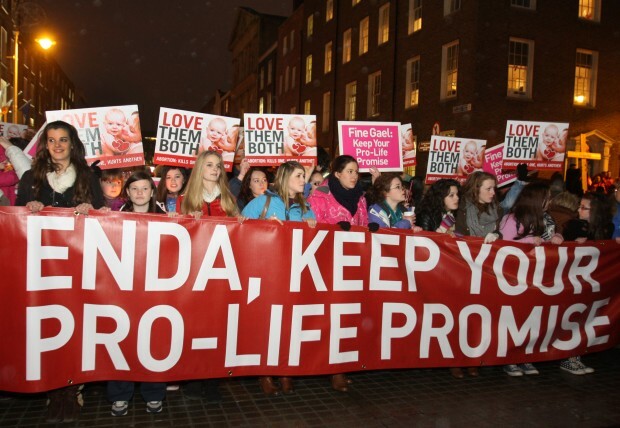 DUBLIN (CNS) — The president of the Irish bishops’ conference urged Catholics to make their views on abortion clear to politicians as the government considers legalizing abortion in limited circumstances. In his Christmas message, Cardinal Sean Brady of Armagh, Northern Ireland, reiterated the church’s opposition to such legislation. “Public representatives will be asked to decide whether a caring and compassionate society is defined by providing the best possible care and protection to a woman struggling to cope with an unwanted pregnancy or by the deliberate destruction of another human life,” the cardinal said. “I hope that everyone who believes that the right to life is fundamental will make their voice heard in a reasonable, but forthright, way to their representatives, reminding them that the right to life is conferred on human beings not by the powerful ones of this world but by the creator. “There is no more important value than upholding the right to life in all circumstances,” he said. In practice, abortion has been illegal in Ireland under legislation enacted in 1861. However, a 1992 Supreme Court judgment — known as the X case — found that there is a constitutional right to abortion where there is a substantial risk to the life of the mother, including the risk of suicide, up to birth. Church leaders and pro-life campaigners are urging the government to hold a constitutional referendum to overturn the 1992 Supreme Court decision.